Food systems affect health through multiple, interconnected pathways, generating severe human and economic costs. However, the full picture is often lost from view, allowing the connections to be obscured and the root causes of poor health to be left unaddressed. Too often the negative health impacts are disconnected 1) from one another, 2) from the food systems practices that systematically generate health risks, and 3) from the underlying environmental and socio-economic conditions for health — conditions that are, in turn, undermined by food systems activities. 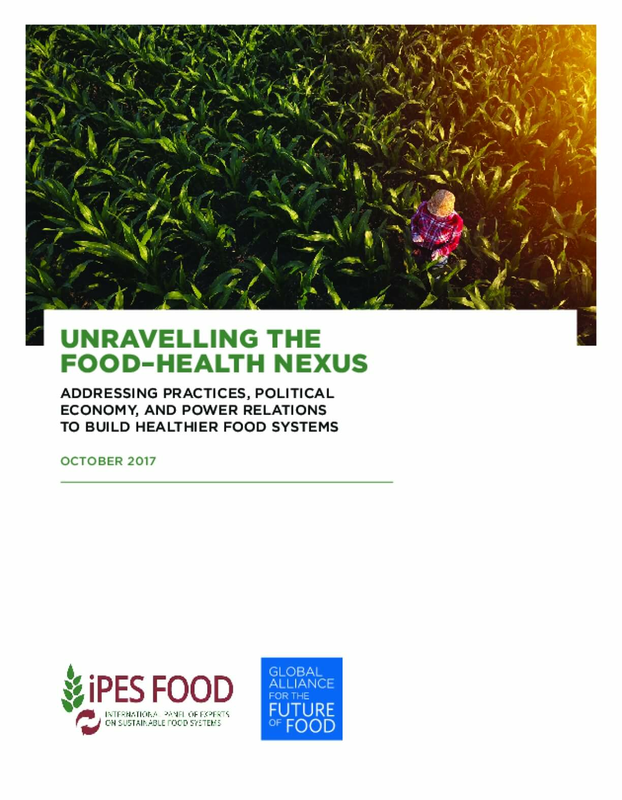 This report seeks to provide a comprehensive overview, identifying the multiple, interconnected ways in which food systems affect human health, and how the prevailing power relations and imperatives in food systems help to shape our understanding of the impacts they generate. In other words, the report asks why evidence gaps persist, why negative impacts are systematically reproduced, and why certain problems are not politically prioritized. 2008 Health Insurance Survey of California Farm and Ranch Operators: Who Experiences Financial Hardship Because of Health Care Costs?